We've only got a few more days left of '12 Days of Holidays' & I've loved sharing some of the ways I'm getting ready for this joyful time of year. 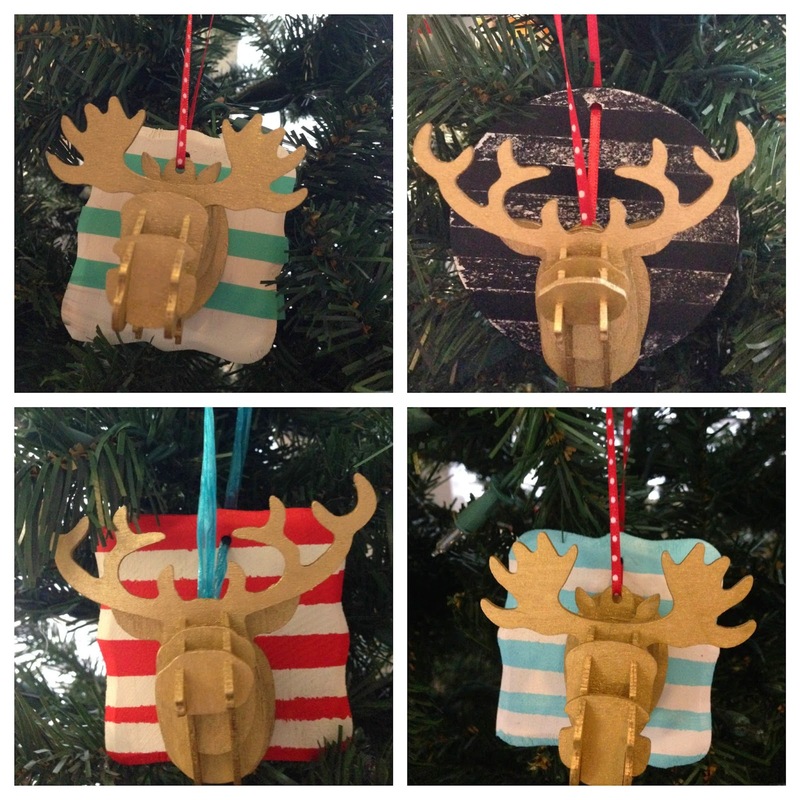 Today, I've got a really fun DIY ornament! 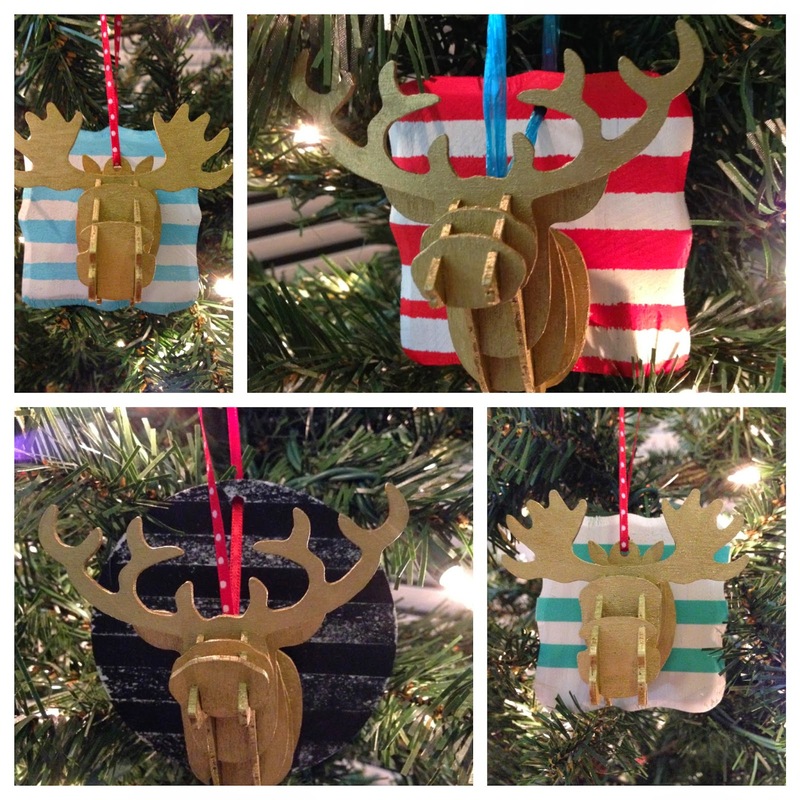 Taking a few paintable & chalkboard plaques from the craft store & combining them with sweet little deer & moose, I made these cheerful little guys that will add an extra bit of sparkle to your tree. 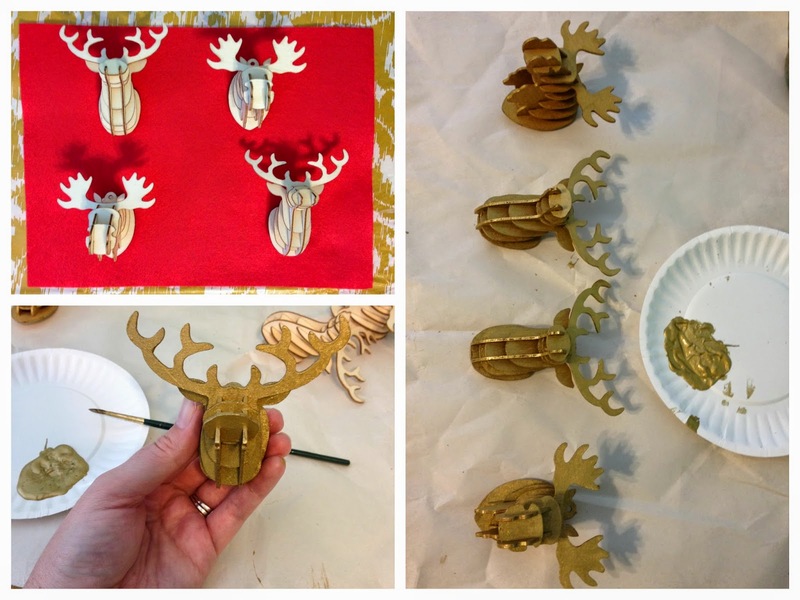 To start, paint your reindeer/moose. I got these at Michaels, but they're a popular item right now, so you might be able to find them other places. I decided to paint all of my animals metallic gold, so that the bright stripes would pop. And there would still be a little shimmer to these. I have to have some shine! While those are drying, work on your plaques. I did a few different things. 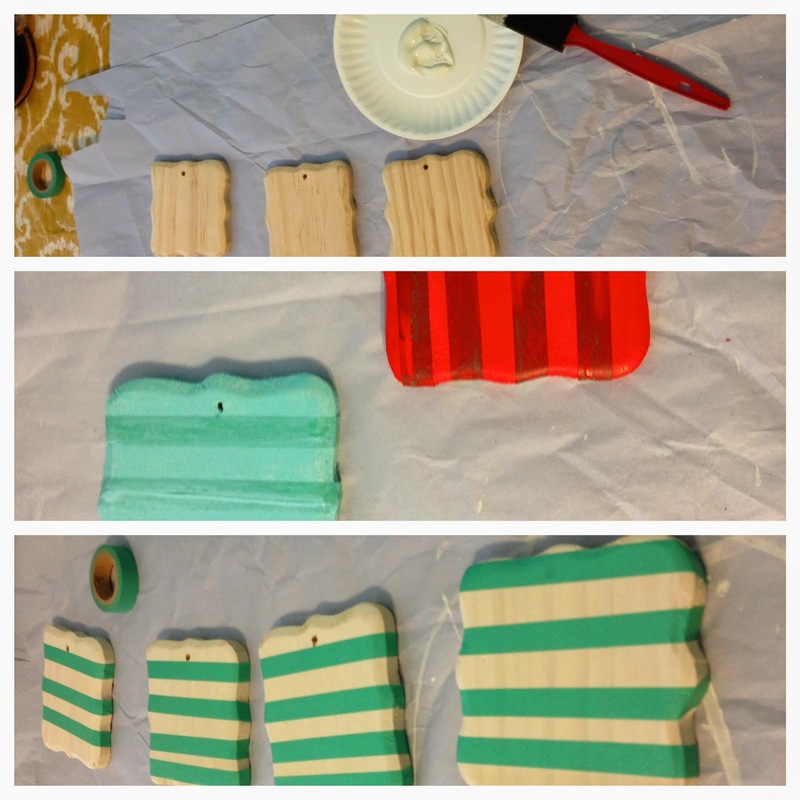 For the wooden plaques, I painted them all a pearly white, let it dry & them using small painter's tape or thin washi tape (what I used here) mark off your stripes. I then painted over the plaque in my desired color. Once dry, gently pull the tape away. 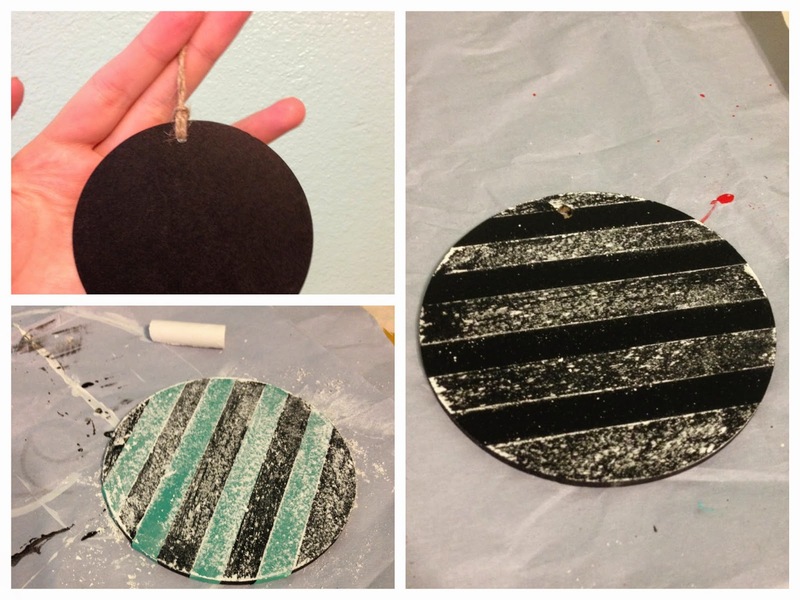 For the other ornament, I started with a round chalkboard disc. I marked off stripes, just like with the wooden plaques & then heavily chalked the open space with a white piece of chalk. Without taking the tape pieces off, I sprayed the disc a few times with a clear protectant spray. This should help keep the chalk on the disc longer. After allowing 24 hours or so for everything to be totally dry, I used some heavy duty hot glue & attached the animals to the ornament bases. I then strung some ribbon through both the hole in the base AND the hole in the animal head to help it hang more evenly. These are really easy to put together & I just love the look of these. So cute!